Though most of what we see of celebrity is glitz and glamour, there's a human element to show business that can be easy to forget. Actors and musicians are so often portrayed as ideal beings — beautiful, talented, and charismatic — that it's hard to think they could be privately grappling with serious issues. But they're people just like the rest of us, which means they're susceptible to the same inescapable realities of life, including medical problems. While some stars understandably never speak out about such issues, many have opened up to their fans about their health struggles in the hopes of raising awareness. Here are some stars who have life-threatening diseases. Selena Gomez remained silent through her lupus diagnosis for almost two years before telling the public about it. She had checked into a rehab facility in January of 2014, upon which the tabloid world exploded, speculating everything from drug use to depression over her breakup with Justin Bieber. But in October of 2015, she opened up to Billboard, saying, "I was diagnosed with [autoimmune disease] lupus, and I've been through chemotherapy. That's what my break was really about. I could've had a stroke." As for why she remained mum, she felt it was unfair to even have to address such ridiculous rumors during what was actually a medical crisis, so she just steered clear of it completely. Though she was hesitant to speak out at first, Gomez has become a prominent voice for lupus awareness and research. She also partnered with the Keck School of Medicine to create The Selena Gomez Fund for Lupus Research, to which she also made a donation. Gomez also continues to monitor herself and take time off from her hectic career when needed. In August of 2016, Gomez took another break from her Revival World Tour, saying in a statement to People, "I want to be proactive and focus on maintaining my health and happiness and have decided that the best way forward is to take some time off. Thank you to all my fans for your support. You know how special you are to me, but I need to face this head on to ensure I am doing everything possible to be my best. I know I am not alone by sharing this, I hope others will be encouraged to address their own issues." Sadly for her, the former Disney Channel star's battle with Lupus continues to have its many ups and downs. In September 2017, she revealed that she had been laying low during the summer because she was recovering from a kidney transplant. The kidney donor was her best friend, actress Francia Raisa. 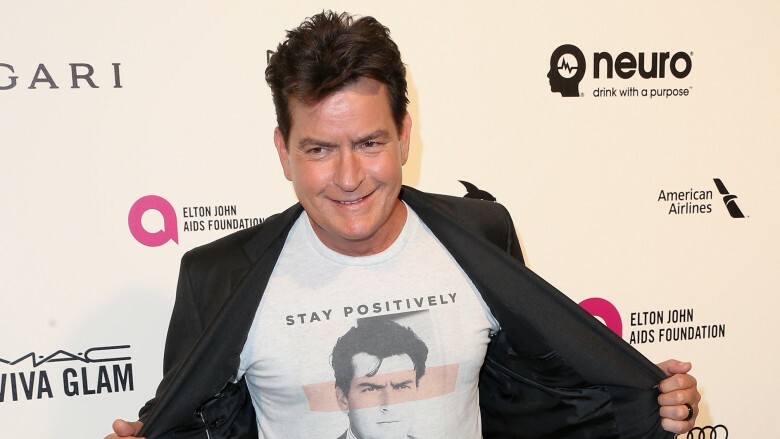 When Charlie Sheen revealed that he was HIV positive to Today host, Matt Lauer, it was a shock, but not entirely surprising. Sheen's well-documented descent into his self-proclaimed "winning" lifestyle full of drugs and prostitutes placed him at high risk for contracting the disease. But once he outed himself, Sheen continued to make headlines in regards to his treatment, even temporarily going off of his meds at the advice of controversial holistic doctor, Sam Chachoua, who claimed to have a cure for the virus. "[I've] been off my meds for about a week now," Sheen said during an appearance on The Dr. Oz Show (via People). "Am I risking my life? Sure. So what? I was born dead. That part of it doesn't phase me at all," he continued. After seeing a spike in the amount of detectable HIV in his system, Sheen resumed treatment and subsequently slammed Chachoua on Twitter, who he alleged practice medicine illegally in the U.S. for months. Following the holistic cure fiasco, Sheen returned to his conventional treatment. In a follow-up visit to Today, he claimed that his viral load was back to "undetectable," and that he was also participating in a federal trial on a medication he called "the future of treatment." 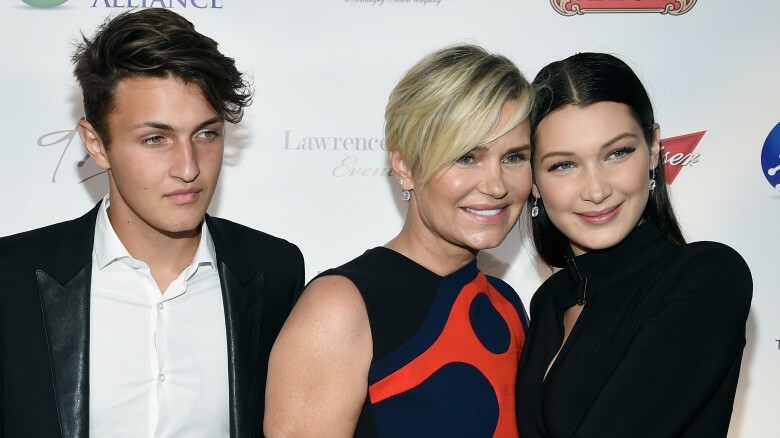 After years of searching for an answer for her persistent symptoms that included fatigue, chronic pain, and confusion, Yolanda Hadid was finally diagnosed with severe chronic neurological lyme disease. In her appearance on The Dr. Oz Show (via Reality Tea), Hadid talked about her long, and very public struggle in not only dealing with the disease, but in attaining the proper diagnosis after years of doubt and misdiagnosis. "People started insinuating that I was crazy in the head. So finally getting that diagnosis was just, 'Thank you God,'" Hadid told Dr. Oz of her desperate trip to Belgium in which doctors finally found evidence of the elusive disease. Hadid's efforts took her to "eleven countries, five states, 104 doctors," according to her blog on Bravo. In that same blog, Hadid transcribes her 2015 remarks to the Global Lyme Alliance, which has awarded her for using her celebrity to bring awareness to the often misunderstood disease. In the speech, Hadid shares that two of her children, Bella and Anwar Hadid, also suffer from the same condition. "This award is for Bella and Anwar. This is a token of my promise that I will not allow you to live a life of pain and suffering. I will prevail and walk to the end of the earth to find a cure so that you can live the healthy life you deserve," she said. Though there is no proven treatment for their condition, the Hadids all pursue a combination of conventional and alternative remedies. 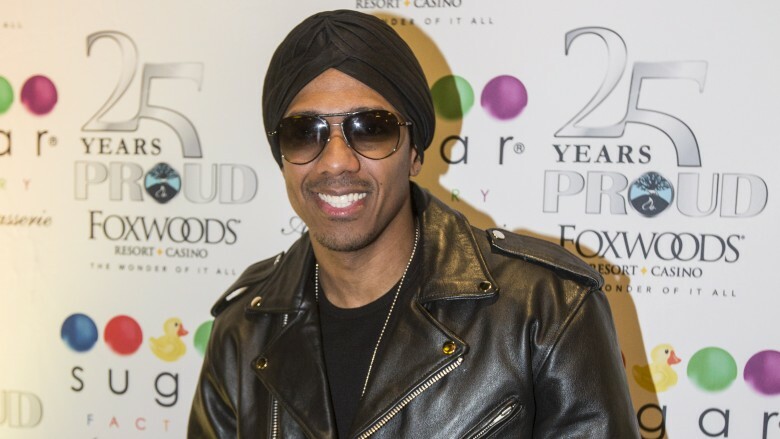 After being hospitalized for fatigue in 2012, actor and musician, Nick Cannon, was diagnosed with lupus when doctors discovered that his kidneys were failing. In an interview with WebMD, Cannon said, "I don't necessarily look sick, but there are times when I wake up and I can't move." The notoriously busy performer — at the time of his diagnosis he said he was on "12 television shows" — says that drastic lifestyle changes, like eating healthier and getting more sleep, have helped him get a handle on the autoimmune disease. Cannon also became a staunch advocate for lupus awareness, creating the Ncredible Health Hustle series on YouTube, which "documented his daily life with lupus." He's also worked with The Lupus Foundation of America on several charity initiatives, because he says, "If I can be an inspiration for others with the condition or a similar condition, then I wear that with pride and embrace the duty wholeheartedly. Stepping up and being the face of lupus has actually helped me get through it." Cannon suffered a setback and was hospitalized again in 2016 due to complications from the disease, but he bounced back quickly. "I broke out that joint!!!! ", Cannon posted to Instagram (via Billboard), letting fans know he was back in the studio and working. Hopefully he's still talking it easy and following this advice that he gave to fellow lupus sufferers, "I make sure each and every morning that the first thing I take care of is myself. That is my number one priority." 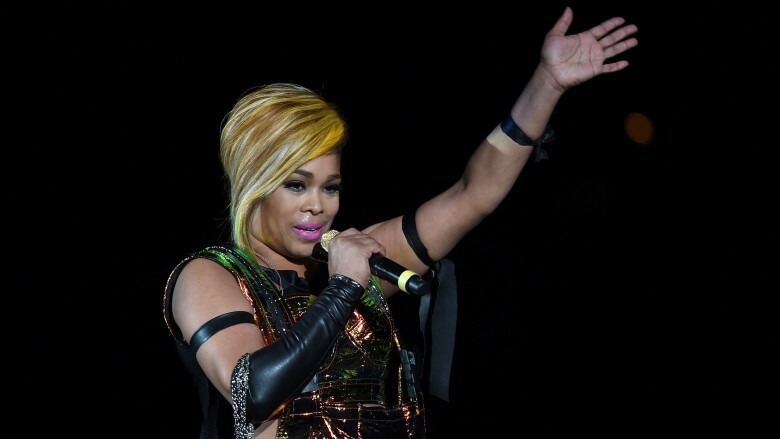 In 1996, TLC frontwoman, Tionne "T-Boz" Watkins, revealed that she had sickle cell anemia, which the Mayo Clinic defines as an incurable disease that causes malformation of the red blood cells "which can slow or block blood flow and oxygen to parts of the body." For Watkins, this meant she wasn't able to be an active child, unable to play outside or "dance extra hard," which led to her diagnosis. "The older I get, the worse it gets," she told MTV the same year she went public. "When I'm touring I get sick a lot and have to go to the hospital. All I can do is keep praying and stay positive." And her life hasn't exactly been a breeze outside of managing the disease. Watkins has also dealt with career mismanagement, domestic violence, two bankruptcies, and oh yeah, a brain tumor as well. According to People, by 2006 Watkins had been having headaches for years that she attributed to stress and sickle cell. But when her vision became blurry, she had an MRI done, and doctors discovered "a grapefruit-size acoustic neuroma (which are noncancerous) on her vestibular nerve," which are fancy medical terms for a giant brain tumor. After having surgery to remove it, Watkins temporarily lost control of her mouth and face, and had to relearn how to walk and speak again. Fortunately, she made a full recovery, and even got to record one final album with TLC through a successful Kickstarter campaign that raised over $400,000. Watkins also continues to be an advocate for sickle cell awareness, having at some point served as the spokesperson for the Sickle Cell Disease Association of America. When he revealed his Parkinson's diagnosis to the world in 1998, Michael J. Fox had already been living with the disease for seven years. According to CNN, "he noticed a 'twitch' in a finger," which ultimately led to his diagnosis. He'd even already had brain surgery, a procedure that helped control his symptoms called a thalamotomy before going public. Since then, Fox has become a tireless advocate for not only raising awareness, but also funding for research for the debilitating disease. He founded The Michael J. Fox Organization, which as of this writing, has raised over $700 million in its efforts "to speed a cure for Parkinson's disease." Originally told he had only ten years to live, Fox went on to defy expectations. 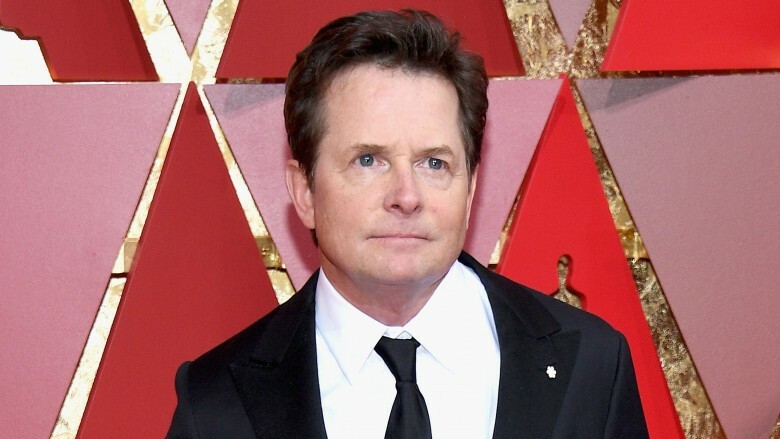 Having lived with his diagnosis now for decades, Fox has also seemingly maintained his high spirits, telling AARP that he's "found a mix of drugs that has him feeling better than he did 10 years ago." He's even continued to act though he admits, "My visible symptoms are distracting, but none of them hurt." And though Fox says he takes everything "day-to-day," he told The Hollywood Reporter he would be happy to keep acting so long as opportunities like his Emmy-nominated role on The Good Wife keep coming along. Also, as of this writing, he and his foundation have been lobbying the U.S. government to ensure changes to the Affordable Care Act don't negatively affect Parkinson's patients, 80 percent of whom are on Medicare. For a guy who has every reason to be down an out, he's certainly risen above and beyond. 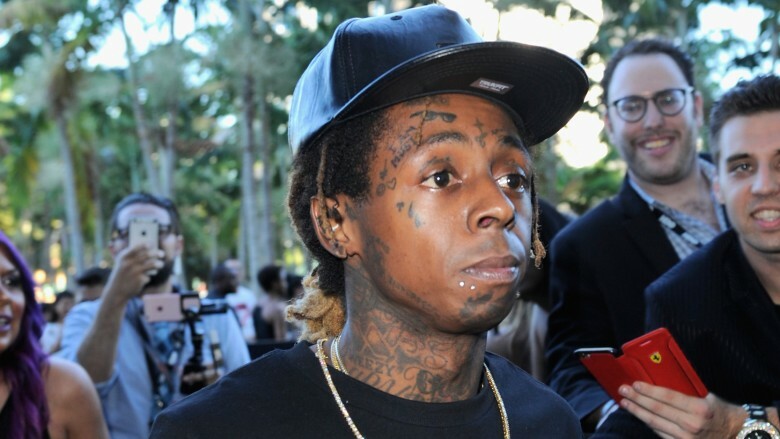 Dwayne Michael Carter, Jr., aka Lil' Wayne's battle with epilepsy first came to light in March of 2013 when he was hospitalized after suffering multiple seizures. About a month later, the "Let It Rock" rapper was hospitalized again for the same reason, after which he decided to start speaking out. "The thing is, man, the bad news is I'm an epileptic, so I'm prone to seizures. This isn't my first, second, third, fourth, fifth, sixth, seventh seizure. I've had a bunch of seizures; y'all just never hear about it," Wayne told LA Power 106 DJ, Felli Fel (via MTV). And he doesn't have a mild case. He claims his heart heart rate went down "to like, 30 percent," and that he nearly died during the second reported incident. But unlike most others on this list, Lil' Wayne doesn't seem to take his condition as seriously as he probably should. According to The Daily Beast, Weezy has been open in the past about having difficulty kicking his habit of drinking "lean," a codeine-laced cocktail that is popular with a lot of rappers. Though codeine dependency doesn't have a direct connection to seizures or epilepsy, it's probably not the greatest idea to recreationally ingest a powerful opioid when you already have a condition that sends you to the hospital multiple times a year, like it did again in 2016. Hopefully "President Carter" will see the light soon, and start taking care of himself a little better. It was only after a tabloid obtained one of his MRI scans and threatened to out him that Montel Williams, then the host of his popular daytime talk show, The Montel Williams Show, came forward with his multiple sclerosis diagnosis in 1998. He was diagnosed six months prior to that, but had been living with the symptoms of the debilitating disease for 19 years, Williams revealed during an interview MedicineNet. "The reason why I hid my diagnosis is because I thought if I came forward, I'd lose my job. I thought I'd lose my family," Williams said. But after coming to terms with his diagnosis and talking to his family, Williams decided to become proactive. He started the Montel Williams MS Foundation, of which he claims, "Every single penny that the public has sent to me has gone back out of our foundation and been placed in the hands of researchers and scientists to find a cure." Williams also became embroiled in controversy over his endorsement and use of medical marijuana to treat his MS symptoms. He's also written a series of inspirational books, and wellness guides that he says are not just intended to help sufferers of MS, but all "people suffering from any chronic deadly illness and the people who love them." Overall, Williams' indomitable spirit is what has guided him through decades of living with the disease. He doled out this piece of wisdom for his fellow sufferers, "For me, like everybody else that has this illness, it is an everyday thing. Sometimes every hour of the day, but you know what? I decided somebody's got to be in it, and if it's me, I'm in it to win it." After becoming bedridden with flu-like symptoms, celebrity singer Avril Lavigne finally got diagnosed with Lyme disease. Like Selena Gomez, Lavigne disappeared from the spotlight and endured the typical "rehab speculation" from the media. But she was actually in bed for five months and seeing multiple specialists, desperately trying to figure out what was wrong with her, according to ABC News. "There were definitely times I couldn't shower for a full week because I could barely stand. It felt like having all your life sucked out of you," Lavigne told People after resurfacing from her hiatus. After coming forward with her own struggle with Lyme disease, Yolanda Hadid revealed that she'd been guiding Lavigne through her battle with the insidious illness. "I took Avril under my wing when she first got sick and shared all I know," Hadid told The Daily Dish. Lavigne expects to make a full recovery, telling others who are dealing with the often-misdiagnosed disease (via The Daily Mail), "There is hope. Lyme disease does exist. And you can get better. This is my second shot at life. I really just want to go out there and truly do what I love. So I'm so excited for life after this." Modern Family star, Sarah Hyland, has battled kidney disease since childhood, but she says that her struggles drove her to succeed. "I was born with so many health issues that doctors told my mother I would never have a normal life. And she said, 'You're right, she won't—but it won't be because of her health,'" Hyland told Seventeen. "When my mother told me that story, it resonated with me: if I can't have an ordinary life, I might as well have an extraordinary one. If you set your mind to something, you'll achieve it." Hyland's battle with kidney dysplasia left her in need of a transplant in 2012, when her own father amazingly stepped up and donated, according to GMA. To give back, Hyland became involved with The George Lopez Foundation, which seeks to create "positive, permanent change for underprivileged children, adults and military families confronting challenges in education and health, as well as increasing community awareness about kidney disease and organ donation." Hyland's own experience as a child limited by her condition urged her to become the organization's youth ambassador, according to Variety. "Once I learned about the Lopez Foundation, I knew I wanted to get involved (because they) send kids with kidney disease away to camp so they can still experience overnight camp with medical needs at hand." Hyland recently skipped the 2017 SAG Awards, citing "health reasons" on her Instagram, but hopefully it was just a cold and not complications related to her kidneys. 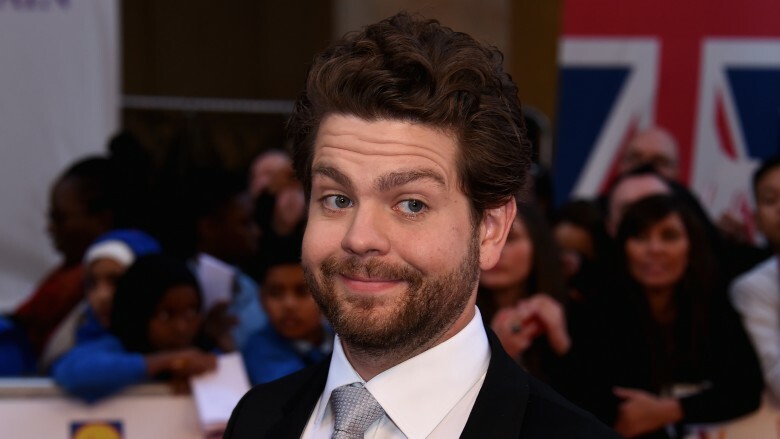 Jack Osbourne was diagnosed with multiple sclerosis in 2012 after losing vision in his right eye. "The eye doctor sent me to the ER, and the ER was like, 'We need an MRI,' and then spinal taps, and blood work, and talking with neurologists," Osbourne said in an interview with Everyday Health. "Come to find out that wasn't my first exacerbation. About 18 months prior my legs [had gone] numb," he continued. Still, Osbourne insists it's not the end of the world. "I feel like people think you're disabled or you have some huge thing wrong with you, and you're not able to do what everyone else can. It's not over just because you get MS." He also said he "keeps the beast at bay" by receiving a daily injection along with maintaining a "higher quality of living" that includes diet and exercise. 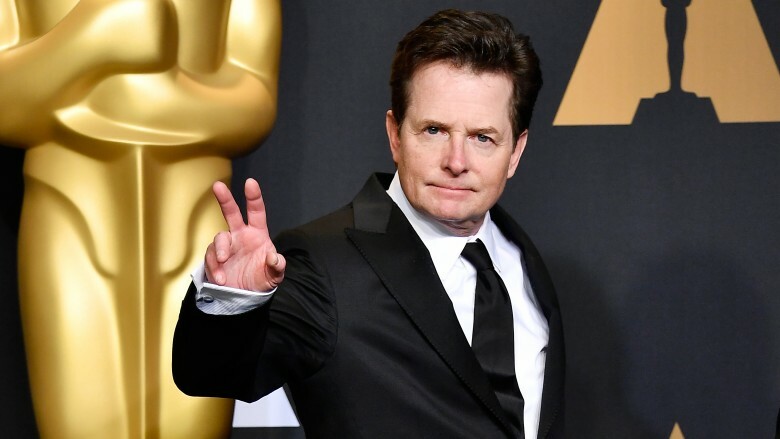 Osbourne's outreach efforts include a partnership with Teva Neuroscience called You Don't Know Jack About MS, which is a web series and blog the reality TV star created to increase awareness of the symptoms of MS, preach the benefit of early diagnosis, and share personal stories about his own struggle with the disease. In a blog post titled "What MS Has Taught Me," Osbourne shows the ability to remain positive despite receiving the frightening and life-changing diagnosis. "This diagnosis made me realize that we only get one life to live, and if you're not embracing life and taking all life has to offer, then you're wasting it. Life is amazing, and it's a gift. Just because you have MS, doesn't mean you can't get the most out of it." In 2010, Toni Braxton triumphantly announced, "Take a look, this is what lupus looks like," at The 8th Annual Bag Ladies Luncheon in LA. This was how she revealed to the world that she, too, battles the autoimmune disease that causes one's immune system to attack healthy cells and tissues, according to the NIH. 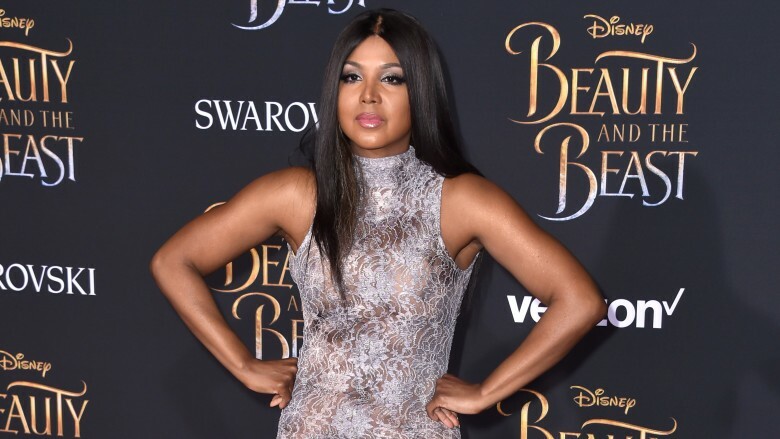 Braxton had previously been candid about another life-threatening condition she has, telling People in 2008 that she suffers from pericarditis, which is "an inflammation of the sac surrounding the heart," which she was diagnosed with after feeling tightness in her chest during a performance of Aida. Braxton has become active in charity work for both conditions, serving as a spokesperson for the American Heart Association, as well as serving on the Board of Directors for Lupus LA, a chapter of the Lupus Research Alliance. Opening up about her daily struggles with her health, the "Unbreak My Heart" singer told Huffington Post Live, "Pretty much when you have lupus, you feel like you have the flu every day. But some days you get through it." Sometimes though, Braxton has pushed herself too hard, like in 2016 when she was admitted to the hospital for days. Although she claimed reports over exaggerated the severity of the hospital stay, she did release a statement through her reps saying, "She was not in serious condition, though lupus is a serious disease and must be monitored at all times." Long before his untimely death as a result of an accidental overdose of fentanyl, the notoriously press-shy celeb opened up about an illness he'd been battling since childhood. 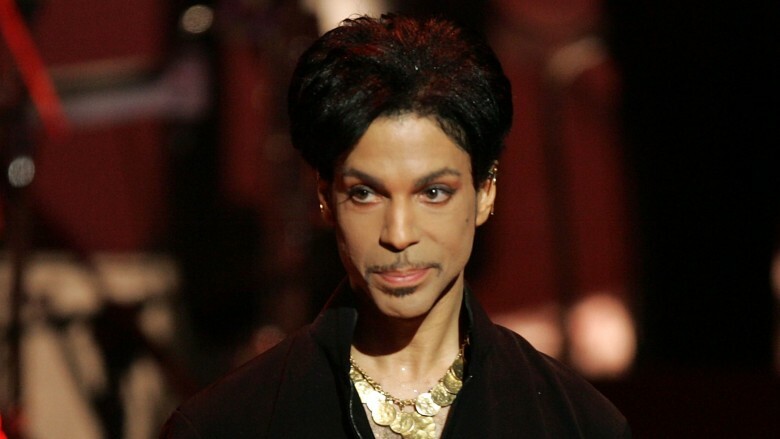 "I've never spoken about this before but I was born epileptic," the Purple One told PBS host Tavis Smiley. "I used to have seizures when I was young. My mother and father didn't know what to do or how to handle it but they did the best they could with what little they had." In keeping with his mysterious persona, Prince never divulged anything other than that brief mention of his epilepsy, although there was much speculation in the wake of his death about chronic pain he supposedly had in his hips and ankles.